If you wish to teach English in Spain you first have to decide if you want to be a full time English teacher or simply part time. There is of course the additional option of teaching English for free room and board! No matter which option you choose teaching English in Spain is both a fun and rewarding experience! English schools provide perhaps the most stable way to become an English teacher. If you have a flair for the job you can quickly rise up the ranks or even open your own school if you have enough students demanding your special skills. The benefits of teaching English within a Spanish language school is normally the stability that it provides along with the guaranteed income. Of course your interaction with Spanish students will greatly increase your personal experience whilst working in Spain! Teaching English in Spain on your own account through private classes is something most English speaking natives do at one time or another whilst in Spain. The big benefit with this sort of teaching is that you can pick and choose your clients and of course your rates. Part of the Spanish culture is that parents frequently invest in additional home tutoring for their children and this is a good way to start as the English level required is at its most basic. Rates are flexible but normally you will be paid in the region of €10 - €15 per hour "cash in hand". If you combine this with working in an English language scool then you can live comfortably. Summer camps for Spanish children are common during the looonnnggg three months the children have off school each summer. As an English teacher in these camps you are expected to both care for and educate the children at the same time. These positions require that you live on site and you will be paid a small wage whilst working there (this is normally paid at the end of the season). The seasonal nature of these jobs means that the positions are normally occupied by English teachers from the English schools who take a couple of weeks off during the summer period when the schools have less work. A TEFL qualification helps when applying for these positions, as does previous experience. 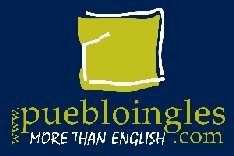 Pueblo Ingles (English Village) offers a unique opportunity for people to spend time in rural Spain teaching English (with no grammar) cost free. With departures from Madrid to various villages where Spanish is not allowed, Pueblo Ingles provides total immersion in English life for Spanish people whilst staying in Spain! The program has attracted more than 5,000 English speaking volunteers that have gained valuable cultural and personal experience helping Spanish natives improve their use of the English language. Most volunteers enjoy the experience so much that over a third of volunteers have repeated the experience time and again! Considering that your food and accomodation is paid for during your time (minimum one week) this is one of the most rewarding and cheapest ways to visit Spain!